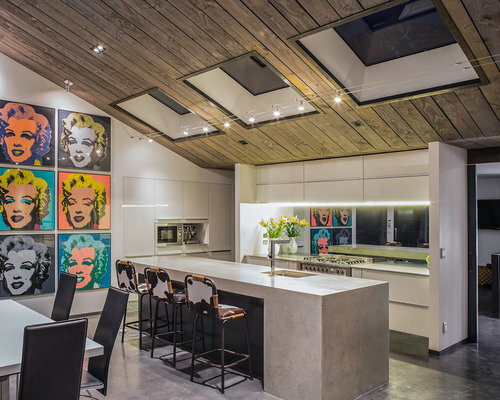 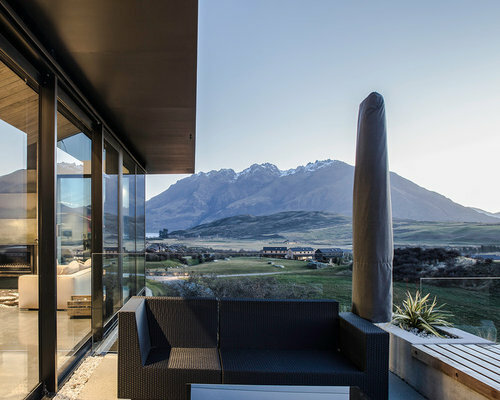 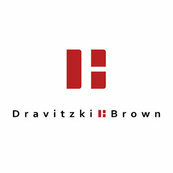 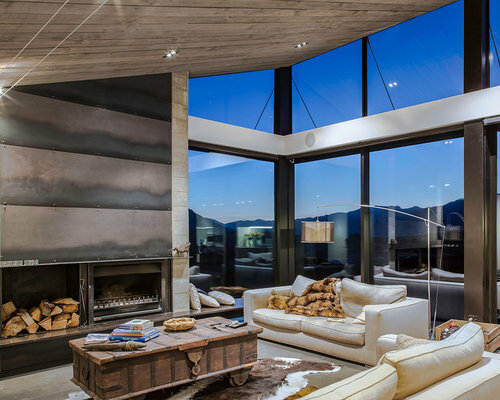 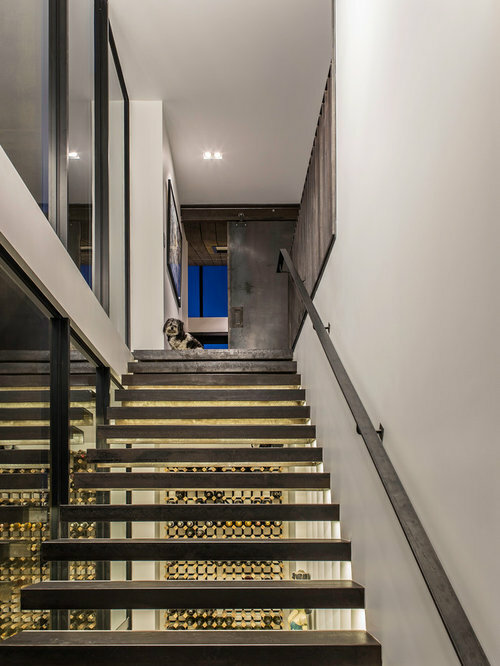 The Raetz House occupies a sloping site in the Jacks Point subdivision in Queenstown. 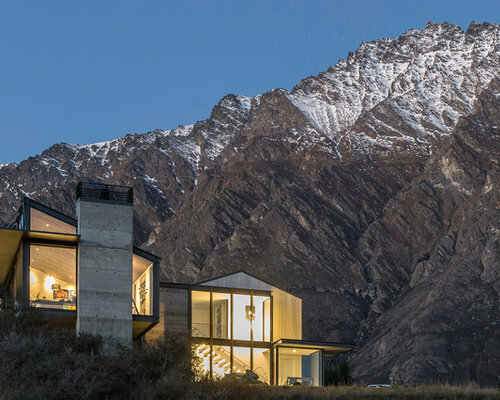 The living room cantilevers off part of this slope which not only enables the house to capture the best views but limits the amount of site disturbance. 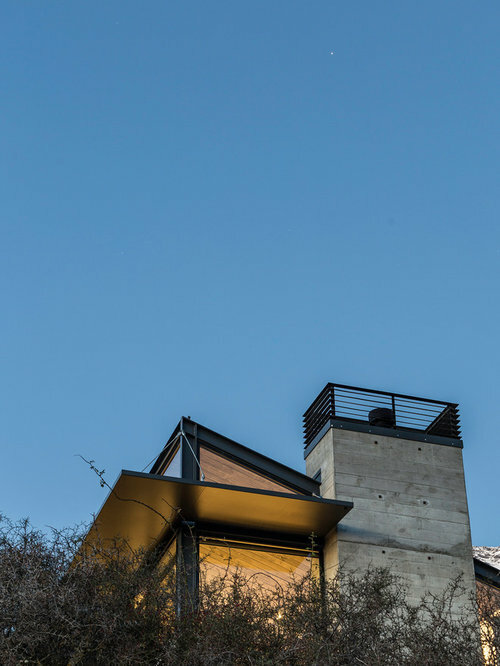 This cantilever is partly supported by the feature concrete chimney. 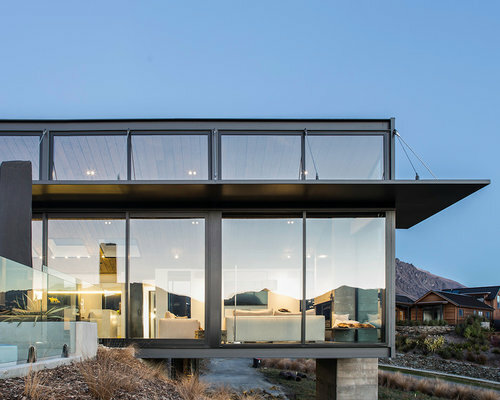 A large amount of north facing glazing will capture all day sun and heat the exposed concrete floors. 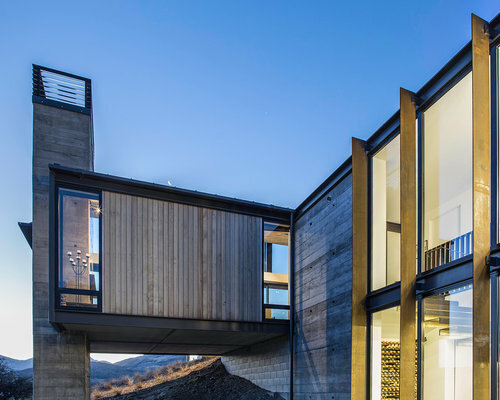 The exterior of the home features insitu concrete panels and cedar weatherboard cladding.